Often, we hear from homeowners who seem to encounter a minor problem when it comes to their oven, stove or range. Perhaps the issue is one of the four or six burners. Maybe it’s not heating as well as the others. Or perhaps the wiring or other electrical component has frayed or stopped working. With the right description of the issue, we at Appliance Parts Company can often diagnose an issue over the phone and suggest a course of correction using replacement appliance parts from our wide catalog. These repair tips and basic information below are not meant to specifically apply to your exact stove unit, but should be seen as general tips overall. Today’s modern stoves, ranges or ovens, on average, last about 6-10 years, depending on use and upkeep. These appliances eventually need some replacement parts or emergency repairs at some point, but homeowners should be OK for the first few years at least. Specifically, some parts take more of a beating than others. Range oven bake elements generally last 7-9 years or more with average use. Certain broil units can last much longer. Those are the averages. In some instances, as you might see at your grandparents’ home, some ranges, stoves and ovens can last 15-20 years too without needing repair parts. If you’re seeing no heat from your heating element, but the element and terminal block look normal, then your issue may stem from a burned out or defective infinite switch. If the term is new to you, know that it’s part of the electrical makeup of the unit. The infinite switch on the control panel controls the power to each surface element. To replace this, remove the back panel of the oven. Then, check for any overheated wires or faulty terminals. Electricians generally use a multi meter to check for electrical continuity on the switch’s contacts. Replace the switch if it shows to be defective. Blown fuses are a source of some problems for ovens. Blowing an internal fuse on your oven, or having a wiring or component problem, could be part of an issue affecting a non-working oven. But a blown fuse is a minor issue at best. You can easily source new replacement fuses in your local electrical store or online with an appliance replacement parts dealer. If your oven fuse has shorted out, then take time to inspect the oven element. You might be able to see that any wiring has also short circuited out. Be careful when replacing a fuse. Use a similar fuse with the same electrical rating. The same practice should apply to a fuse for possibly a surface burner. Again, before changing fuses, make sure the power is off on the unit. For your stove’s heating element, check the broil element. It’s found at the top of the interior of the oven. That’s the piece that broils your chicken, steaks and fish. If the broil element is no longer working, then see if it’s separated somehow or cracked. If it looks normal, then use the same multi-meter test to check for electrical current. Also, inspect inside the oven for terminals and wires that look overheated or damaged. 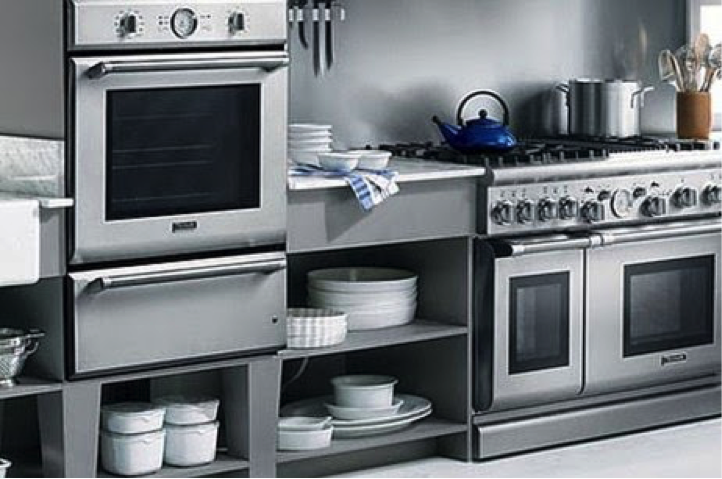 Is your stove or oven ready for new appliance parts? If so, check for the right piece at Appliance Parts Company. The expansive catalogue has a wide range of parts to help you keep your stove or oven lasting longer over time. Summer is a good time to take stock of your home appliances. Giving your home appliances a thorough check during the slower days of summer might help you decide whether to repair, replace or upgrade your major home appliances. The length of time you’ve owned your major home appliances will be a good indicator if appliance replacement parts are needed soon, or if your home is due a brand new model of refrigerator, washer/dryer, or stove and range. For instance, little signs can tip you off. In a refrigerator, you should look to see if the door is shutting properly, or if the food is being cooled sufficiently. 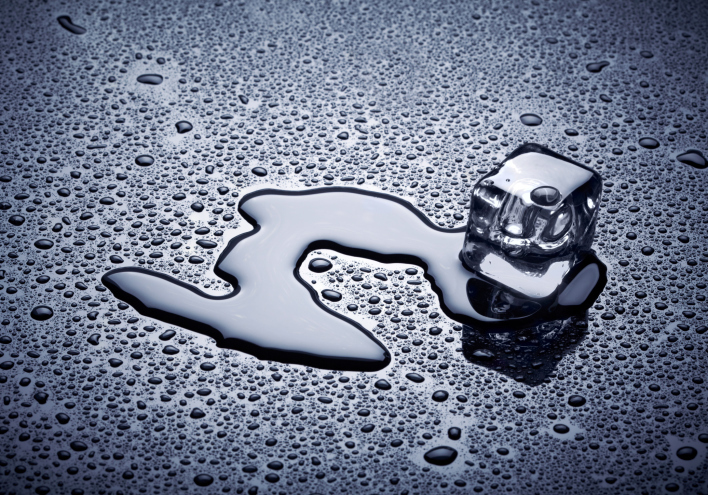 Deficiencies in either area may mean that you need a new fridge gasket or new cooling Freon added. If you need to upgrade because your fridge is older than a decade, then shop around for an energy-efficient refrigerator that can save you money by keeping your food cool on relatively little power. Also, if your family tends to shop for meats and other goods in bulk, it might make sense to pick up a separate large capacity freezer that can keep your food frozen for cooking when it suits your schedule. Another major home appliance that gets a lot of use in your home is likely the washing machine. Now that summer is here, you can check a few things, like if your washing machine’s energy efficiency is still high for washing clothes, or if not, find out why your clothes are not being as clean as they used to get. The newer washing machines on the market often clean clothes just as well on cold water settings as the older ones used to on hot water settings. If you need a new drum, or new motor for your dishwasher, check online for replacement parts for appliances by manufacturers. And if you need to upgrade, don’t forget to ask your retail sales agent about Energy Star energy efficiency washing machines. Those new appliances with the energy saving features can save you money and protect the environment. If you need to upgrade your dishwasher, don’t despair. Prices have come down in recent years, and even new dynamic units are being offered for as little as $300-$400 at retail prices. Click over to the Dishwashers section at Reviewed.com for more insights on lower-priced dishwashers. Generally, these lower-priced units have dishwashing performance that’s at least even with dishwashers for double the price. These models might suffer in exterior looks, or interior maneuverability. But that’s not why these budget appliances have a market in US homes anyway. Hopefully your appliance will be up to your standards when you check it. But if you need to find new parts for your appliances, then head over to Appliance Parts Company. The site has a wide range of parts and more to help you keep your washer, dryer, dishwasher, air conditioner and more going for longer periods of time. So with nine percent of US households getting a new major home appliance sometime during 2015, we wanted to see how ‘smart’ home appliances are becoming. Technology is making its way into so many everyday areas – from intuitive car functions to our daily banking and paying bills online, to mobile app technology finding our destination and next location. So is it any wonder that this new technology is making its way into refrigerators, washers and dryers? And how will it change we use the equipment for our home needs? In recent weeks, it’s come to light that carmaker GM is starting to consider that its GM car owners don’t technically own the cars they bought. The automaker’s representative has said “It is [GM’s] position the software in the vehicle is licensed by the owner of the vehicle.” This is due to all the software going into new automobiles. As the thinking goes, GM considers the software in GM cars that gets the car parts to operate is customized code, which is subject to copyright. GM says it owns the copyright on that code and that software, and this software is crucial to running today’s modern cars. And GM is starting to consider car buyers not actual ‘car owners’ but more licensees of the software in the cars. Is the the way that technology is moving into other areas of our daily lives? Will the same thing happen to home refrigerators? Will fridge owners simply be licensee of all the software that’s going into home appliances. Fridge technology is now in the doors, with screens showing us news updates, podcast access grocery list recipes and more. And this: new smart technology in refrigerator software will help you formulate cooking recipes based on what groceries you just bought and entered into the software. And this technology is not only being seen in refrigerators. Drying times are being shortened via new sensory technology that detects moisture in clothes. For example, a recent LG dryer model makes the claim that it can use recycling heat to help homeowners save up to 50% on energy use. And the new washer-dryer models are much quieter today too, thanks to noise cancelling technology. It may sound quieter, but still vigorously washes your clothes. If you are leaning toward new smart appliance technology, we wish you you the best experience with it. But if you’re hanging on to your older household appliances, then check our Appliance Parts Company for parts for washers, dryers, refrigerators, stove ranges and HVAC systems. Some of our most popular appliance replacement parts are highlighted on our website. 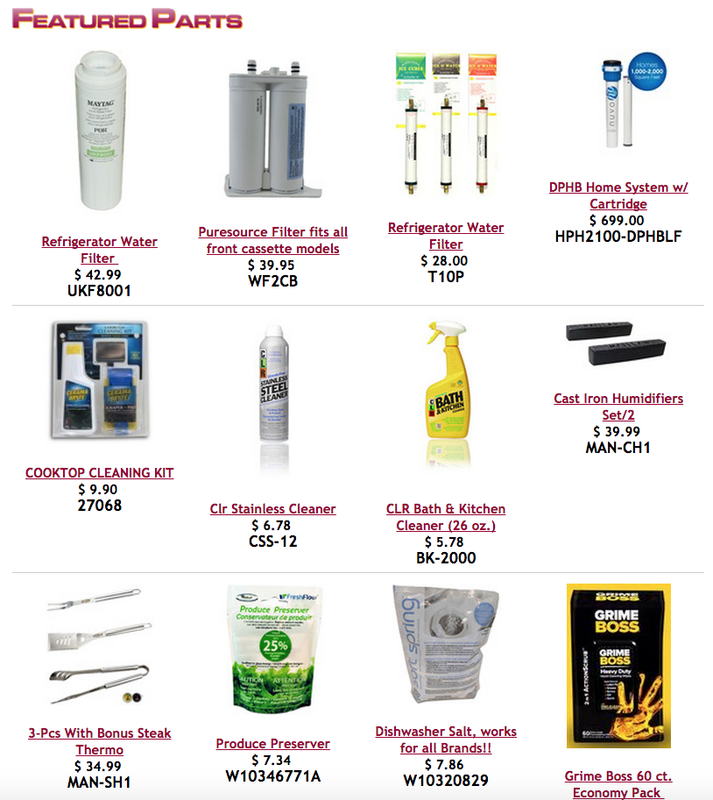 If you are looking for replacement refrigerator water filters, or home water system parts, then you should click over to the home page of Appliance Parts Company. Our company serves customers’ across Arizona, Texas, Nevada and Utah with replacement appliance parts needs for home appliances. Appliance Parts Company is an Authorized Internet Seller of Factory Certified Parts for Whirlpool, Maytag, Kitchen-Aid, and Jenn-Air. To get an idea of how many brand manufacturers we work with, click over to our page of links to appliance manufacturers. Have a look below at what’s being featured in June on our home page. Save time and money! Look to us for all your household appliance parts needs, for washers, dryers, refrigerators, stove ranges and HVAC systems. Click over to Appliance Parts Company for parts to extend the life and service of your household appliances. Refrigerators are designed to be frost free and moisture-free on the inside. That’s when refrigerators are working at their peak performance. So when you find a buildup of moisture droplets, or a collection of ice inside your refrigerator, then you know that something’s not quite right. Frost generally forms on older refrigerators when water vapor, warm air or increased humidity comes into contact with the refrigerator’s cooling coils. At that moment, the water vapor condenses, and liquid water. When you are drinking your cold lemonade or iced tea glass on a hot day, and there are beads of moisture Think of the water beading up on a glass of iced tea on a summer day — that is an example of water vapor in the air condensing. Similar science occurs with your refrigerator’s freezer coils; freezing happens when it gets into contact with the coils. You could call out a serviceman to check it out for you, but you also might want to keep reading below to learn how to DIY the situation, using refrigerator replacement parts from Appliance Parts Company. In most refrigerators, if the cool air inside the compartment meets the hot or humid air outside the compartment, it results in frost formation at the point of contact. There are a variety of reasons for this, including that the door is not closing completely, or that the gaskets are dirty and not allowing for a complete seal around the door close. Some repairmen recommend the paper sheet test. This is when you close the refrigerator or freezer door on a sheet of paper. Once the door is shut, and you can still pull out the sheet of paper with minimal resistance, then it’s definitely time to replace the seals on the door. Moisture in the air collects on cold surfaces inside the freezer, forming frost. Frost is an ice layer that insulates well. But in the performance of a refrigerator, it’s not ideal. So, if your refrigerator is showing frost areas, this means that some of the components might not be in top working order. You can then troubleshoot your refrigerator’s parts to see if they are working well. Here are some common culprits. Check both the freezer door and the refrigerator door closely. Make sure that the seal is fully closing on the sides of the refrigerator. Door seals are often the first thing to go, especially in busy household that have a lot of refrigerator opens and closes. Check out the Appliance Parts Company online appliance parts catalogue to find the right replacement seals. Another opportunity for frost to form is on the evaporator fan near the back of your refrigerator. This fan blows cool air onto the fresh food in your refrigerator. If you hear that the fan is not blowing cool air, then it’s possible that the compressor has burnt out and needs to be replaced. You’ll be able to find that part on the Appliance Parts Company site. Check back with the pros at Appliance Parts Company for all your refrigerator replacement parts needs. We’re happy to direct you to the right appliance part. One of the great American innovations of the last century surely has to be the dishwasher. Taking away the drudgery of washing dishes by hand and creating a machine that cleans dishes within an enclosed space has been a benefit to men, women and children everywhere. The first domestic dishwashers came about in the 1920s in the US, but were still mostly unknown until the 1950s, when post-war prosperity saw more use of dishwashers in more affluent homes. By the mid-1970s, dishwashers had moved into the mainstream and were in many middle-class homes. 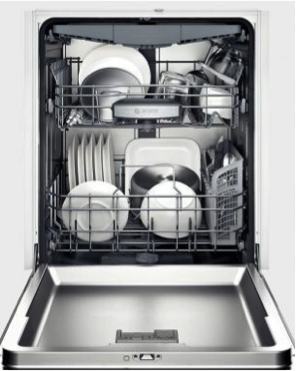 Today, many of us could not imagine our homes without a dishwasher, especially after large family dinners! Today, American homeowners are seeking the best of the best in dishwashers. Many new dishwasher models are ranking highly in tests, according to Reviewed.com. This is due to the new models using sound-cancelling technology to assure quiet wash cycles, higher-quality materials to make the machine and more. Among the new models making waves according to recent tests are the new models from Bosch, Samsung, Electrolux and KitchenAid. Particularly, the Electrolux models were easy to use, looked great inside and out, and cleaned dishes very well. KitchenAid’s new model was also lauded for a new filter that takes away dried on food scraps on dishes. Dishwashers today are like microwave ovens – there are basic models that get used in common apartment units, schools and cafeterias. With much prolonged use, these are the models that might need replacement parts down the road. But new well-reviewed models are being built with technology in mind, and longevity to spare. Digital Trends highlights the new Bosch 500 Series as its highest ranked model, boasting an equally high cost (retail about $950). The Bosch model gives homeowners an amazing range of sound-reducing technologies to damp down the noise of the dishwasher. Since many people run their dishwasher when they retire to bed, having a quiet dishwasher that doesn’t need new appliance parts is a godsend. Bosch assures owners that each dishwasher cycle uses high-temperature washes, variable wash cycles, and water rinses that are triple filtered to avoid any laborious pre-rinsing needs. This machine is a winner. Piranha Hard Food Dispenser that attacks hardened food on plates with a rotating blade (at 3,600 RPM). This fast-rotating blade obliterates large food particles before they are able to fall to the bottom of the dishwasher and clog the machine. There is also no need for pre-rinsing or pre-washing with the new models. GE’s model has a built-in steam prewash that rids plates of thick caked on food parts. Maybe you have an old dishwasher in your home that could be just as good as new with new dishwasher replacement parts. If so, contact us at Appliance Parts Company with your specific need for appliance replacement parts – we’ll make sure to help you and get your dishwasher running as good as new! In our daily work with call-in customers and walk-in customers to our 13 appliance parts locations across the southwest US, we are asked questions about a variety of home appliances and quick-fix ways to get them running again properly. We’d like to share some of the more recent questions that have come our way. Hope you find some benefit in these answers in your own home appliance repair situation. Q: Why is my washing machine making a clanging sound? I just set it up in my kitchen. A: If your top load washer was recently installed or moved to a new home, and is making a clanging sound, there is a chance that the shipping rod may still be installed. The shipping rod goes through the washing machine tub to keep it stabilized during truck transit. The rod should stay in the machine until your washer is properly installed. But if the washing machine is now stable at the location, you can remove the shipping rod. The shipping rod can be removed by pulling it out of the machine. You might feel some resistance upon first pulling it out. 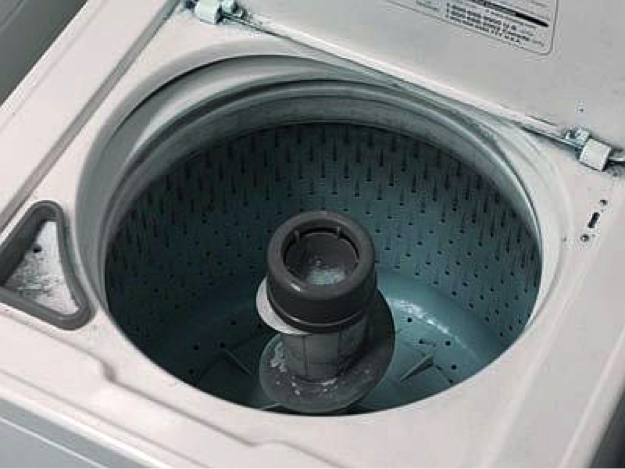 Q: My washing machine is not spinning all the water out of a cycle – what do I do? A: To get the washing machine drum to spin the water out a cycle is usually dependent on the lid switch working correctly. Try to press down the switch that gets activated when your lid is down. 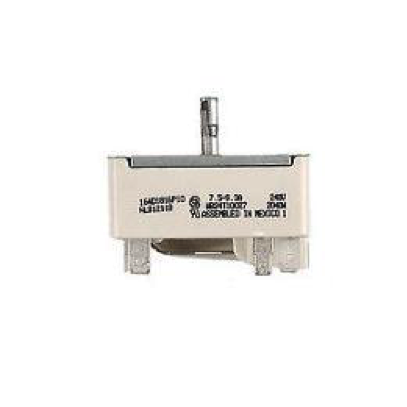 If it’s not starting to spin the drum, you might need a replacement switch. Other causes could include an imbalance in the load, an electrical surge imbalance or perhaps even a faulty computer module within the washer itself. Check with your local appliance replacement parts store. Q: Should I get a front load or top load washing machine? A: Choosing between a front load washing machine and a top load washing machine unit is probably the toughest decision for a homeowner. Price is one factor, washing capacity is another and ease of repair and availability of appliance replacement parts is a third consideration. 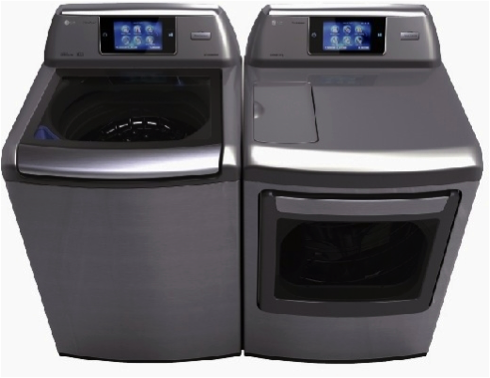 In general, retail prices are higher for front-load washers over top-load washing machines. Front load washers are, in general, pricier than top load units. However, the most expensive top load units come with a higher price than lower-end front load washers. Another factor is wash capacity. Do you have a large family to wash clothes for? Or is it just one person’s wash? The more clothes being washed will mostly determine the need for a higher volume wash. Check back with the pros at Appliance Parts Company for all your washer-dryer replacement parts needs. Our team will work with you to help you with your questions on fixing your home appliances.